Music Psychos: Watch Stars's new video, "Dead Hearts"
Watch Stars's new video, "Dead Hearts"
Toronto pop band, Stars released an new video, 'Dead Hearts' from their latest album, 'Five Ghosts.' 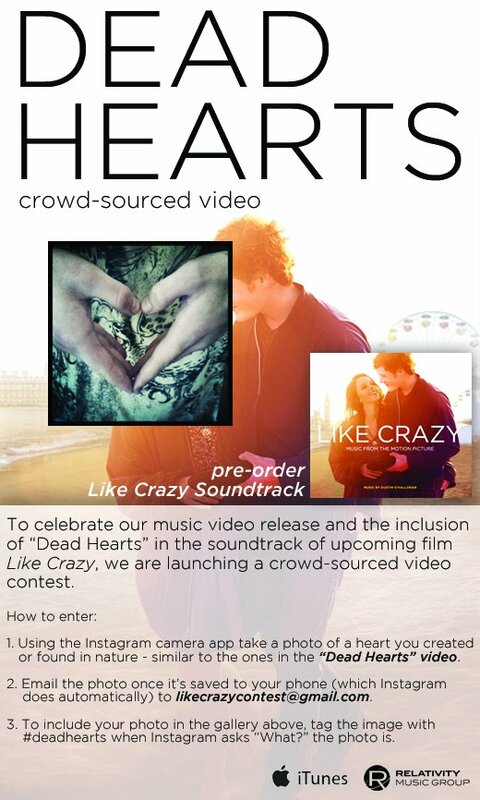 To celebrate the new video release and the feature of the song in a upcoming movie, 'Like Crazy', they have lauched a new contest on their Facebook site. All you have to do is to take a picture of a heart that you've created via Instagram and then email the picture to likecrazycontest@gmail.com. Don't forget to tag the image with #likecrazy when Instagram asks 'What' the photo is. The deadline is October 31st Good luck guys!. Stars - Dead Hearts from Stars on Vimeo.